Disney is going all out to bring the experience of Wreck-it Ralph to gamers everywhere. 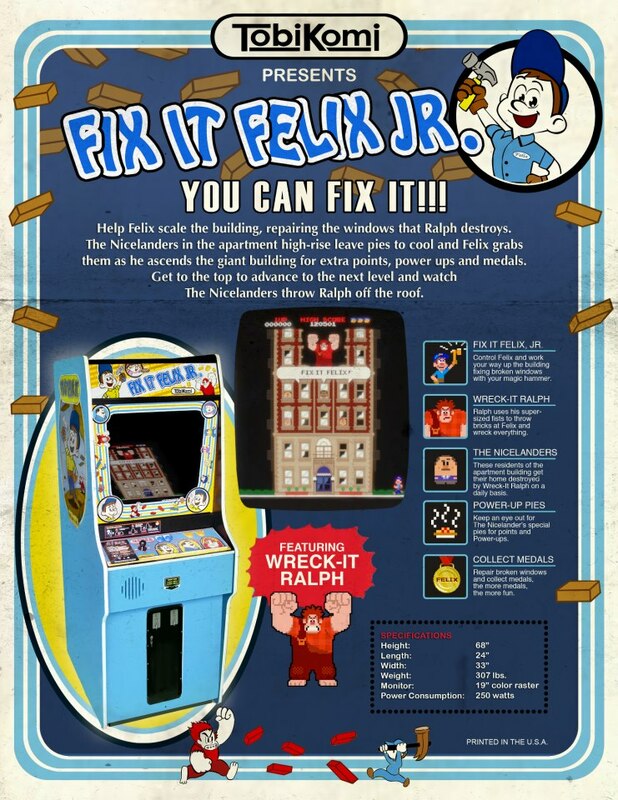 They’re currently doing a tour across arcades and theaters with a working Fix-it Felix Jr. arcade machine. Much like arcades of old, the goal is simple, Ralph wrecks it, Felix fixes it, and the reward is to reach the top score and be immortalized — the ultimate goal gamers sought during the ’80s. Veteran players will probably notice is a bit of tongue and cheek joke — they styled the cabinet after the original Donkey Kong cabinet (or perhaps converted an original). Right now you can play Fix-it Felix at either AMC Theaters of Mall of America in Bloomington, Minnesota (only through tomorrow), or Arcade Legacy in Cincinnati, Ohio (only through the end of today). Other locations and dates haven’t been revealed. If you don’t get a chance to play it, see it in Wreck-it Ralph when it debuts on November 2nd.